Orlando is a city for having fun and indulging fantasies as it offers attractions for visitors of all ages. Here you can enjoy the many shows, museums and theatres that the city offers, as well as do sports or enjoy the nightlife. Located just a few minutes from the entrance of the Walt Disney World Resort, this cosy hotel is ideal to relax after a long day in one of the area's theme parks. Next to the hotel, guests find Black Lake where they can go swimming and boating. Lake Buena Vista Outlet Mall, SeaWorld, Universal Orlando and Orlando Premium Outlets are all just a short drive away. Conveniently located in the Kissimmee area, this stunning hotel offers one of the best accommodation options in the area. Whether guests are staying for a family holidays, family reunion, wedding, convention, trade show or sports event they will find everything they need close by. Most of all, this establishment is close to Orlando’s most popular theme parks, such as Walt Disney World® Theme Parks, SeaWorld Orlando, Discovery Cove, Aquatica or Universal Studios Florida. During their stay, visitors will have the opportunity to truly relax in one of the hotel’s family-friendly guest rooms and suites, all beautifully appointed in a charming and comfortable style and equipped with state-of-the-art amenities. Among the wonderful on-site facilities, visitors can choose to swim in the two heated, Olympic-style swimming pools or let the children splash in the children’s pool. The hotel is adjacent to Lake Cecile, with great lakefront views, and there are a number of restaurants, bars and shops in the area. There is a heated outdoor pool, a whirlpool, a kids' pool and picnic areas with barbecue. Guests are welcomed in a lobby with 24-hour reception. Other facilities, a hotel safe, free Internet access, a game room, free shuttle service, free parking and guest laundry facilities. 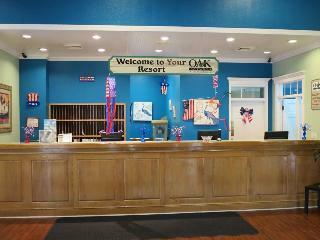 Kids 17 and under stay free with an adult at this hotel in Kissimmee. Satisfaction Orlando Resort in Kissimmee has 200 rooms with large windows, granite countertops, ceramic floors, refrigerator, and anti-mite beds. Everything has been designed for simple and hygienic 100% maintenance.Walt Disney World Resort, and Orlando Sea World is within 10 miles. Universal Theme Parks, Heritage Park, and Silver Spurs Arena is within 15 miles and Orlando International Airport is only 18 miles away.All guest rooms have free Wi-fi, mini or full size fridge, and microwave. Outdoor heated pool, and tennis court on property for your enjoyment. 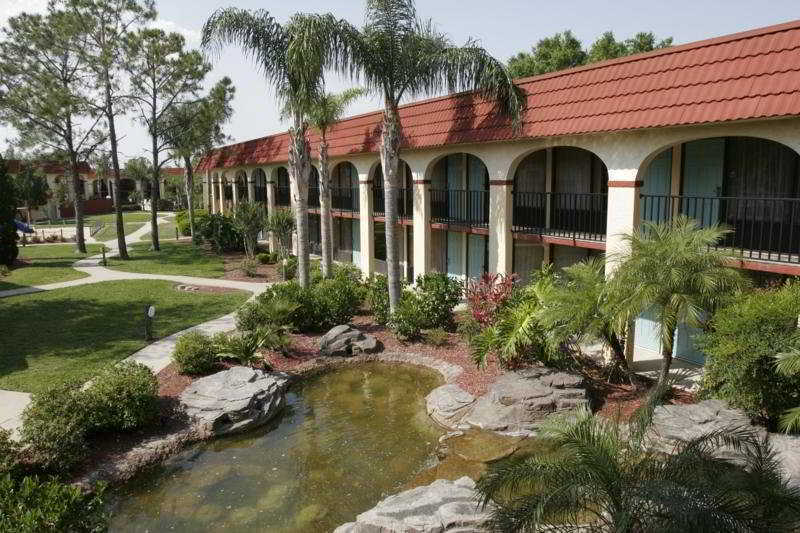 This family-friendly hotel is located in Kissimmee, close to Falcon's Fire Golf Club, Congo River Golf, and Old Town. Also nearby are Lake Buena Vista Factory Stores and Lake Cecile. 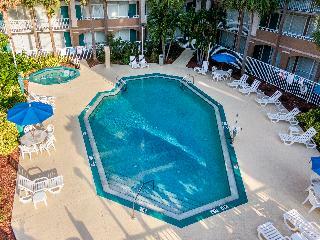 This hotel is a 10-minute drive from Walt Disney World, 12 km from Sea World Orlando, and 18 km from Universal Studios. There are several restaurants and shops in the vicinity. This suite hotel is conveniently located just one block off world-famous International Drive and close to Universal Studios Orlando. Attractions such as SeaWorld, Walt Disney's Magic Kingdom, Orlando Convention Center, Pirate's Dinner Adventure, Wet'n Wild, Universal's Island of Adventures or Titanic the Experience can be reached within a short drive. 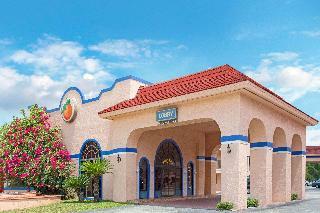 This wonderful hotel enjoys a fantastic location in downtown Kissimmee in Florida. Visitors will find themselves conveniently close to Kissimmee Sports Arena Rodeo and Osceola Heritage Park as well as bustling shopping areas. This attractive property lies within 13 kilometres from the world-famous theme parks. The hotel's tastefully decorated guest rooms are simply furnished with cozy beds and modern amenities. Patrons can enjoy the daily newspaper over a delicious breakfast and dine on flavourful dishes in the onsite restaurant. This hotel's central location and comfortable rooms make it an excellent choice for both business and leisure travel in Kissimmee and Orlando. Those who wish to keep in fit may tone up at the well-equipped fitness centre and corporate travellers may make use of business centre. Guests arriving by car may make use of on-site parking. 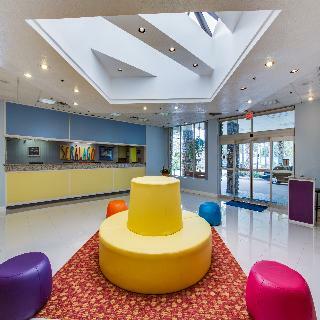 This family-friendly hotel is conveniently located in Orlando, just a few minutes by car from the famous theme parks of the area. Attractions such as Universal Studios, Islands of Adventure, SeaWorld, Discovery Cove, Lake Buena Vista Mall, Pointe Orlando, Orange County Convention Center, Aquatica or Wonderworks can be easily reached. The international airport of Orlando is just a short drive away. Situated at the south end of International Drive, this hotel is in a prime location, with Sea World, Walt Disney World, and Universal Studios, as well as the Premium Outlet Mall, as well as a wide range of shops, restaurants, and shows, only a few minutes' drive away. The hotel welcomes its guests into an inviting lobby, with a restaurant and 24-hour check-in. Facilities include a hotel safe and parking. 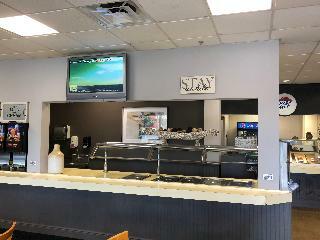 This hotel is located close to the International Drive outlet shopping centre in Orlando. The hotel is located just a short driving distance away from the main attractions that this wonderful area has to offer. A wealth of shopping opportunities and dining options can be found nearby. The hotel is located close to Universal Studios. Guests will appreciate the warm welcome that greets them upon arrival. Superbly appointed, the guest rooms offer comfort and style in a peaceful setting. 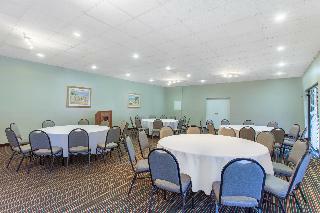 This charming hotel features a wealth of first-class facilities and services. 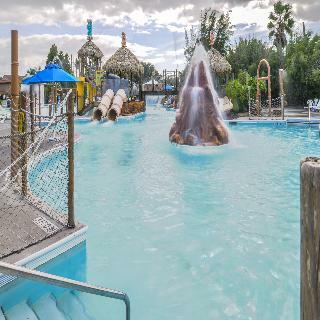 Guests can enjoy a refreshing swim in the outdoor pool, while the little ones are kept occupied in the splash park area. This hotel ensures that there is never a dull moment. This stunning hotel is perfectly situated for a family vacation that includes the must see Orlando attractions such as Walt Disney Theme Parks, Universal Island of Adventure, Universal Studios and Sea World. This wonderful resort is the answer to the accommodation needs of every kind of traveller. Being so close to the attractions means more time to have fun and a nice time with the whole family. Equally convenient for some superb shopping are the nearby Florida mall and numerous designer outlet malls that surround the resort. 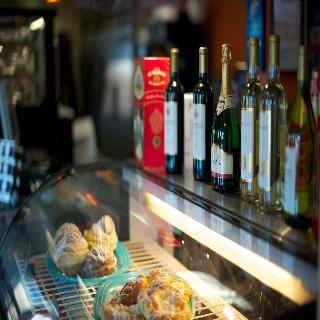 Guests can also complete their day with a delicious dining experience at one of the many local restaurants. Moreover, this resort's guest rooms are elegantly appointed and have an en-suite bathroom with superior toiletries. Pets are not permitted and strictly enforced with the exception of working Service Animals. Certified Emotional Support and Therapy Animals are not allowed. 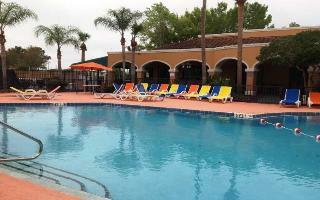 This family-friendly club resort enjoys a wonderful setting at the heart of Kissimmee. The resort is just 10 km away from Walt Disney World. Guests will find themselves within easy access of the many attractions that the area has to offer. A host of shopping, dining and entertainment opportunities can be found nearby. Orlando Airport is located just 30 km away. This charming resort is sure to impress. The apartments are tastefully designed, offering a veritable home away from home. The apartments offer modern conveniences, for the utmost in comfort. The resort features a wide range of exemplary leisure facilities and services. Guests can enjoy a number of exciting activities onsite. This resort is located at only 15 minutes from Walt Disney World. Early departures will be charged the full amount of original reservation if not notified 48 hours in advance. A Daily Resort Fee of $22.95 plus tax is not included and is payable by guest at the hotel. (Fee subject to change). Pets are not permitted and strictly enforced with the exception of working Service Animals. Certified Emotional Support and Therapy Animals are not allowed.